You know that feeling that SOMETHING stinks, but you can’t locate where in the house it comes from. 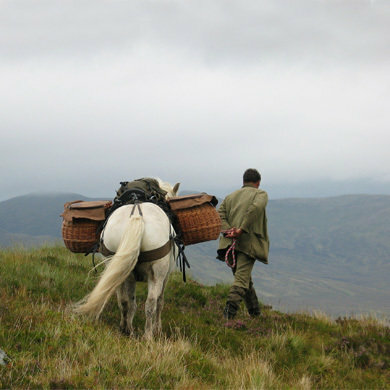 You have just walked your dog in the woods on a lovely morning before you are going to leave him for a few hours. There is just that little hint of poo smell, but it comes and goes. Then you meet the dog and realise that he has not only been rolling in fox poo, but he has also got it smeared all over his dog bed. As your nose takes you round the house assessing how bad the situation is your heart sinks as you were just about to leave for work. If you leave it for the next five hours, it will whiff the whole house out and your dog might rub it on the sofa before it dries up on his coat and becomes stubborn to wash off. You are faced with cleaning the dog bed AND the dog before you leave the house. Unfortunately it is an instinct stemming from their ancestors when dogs and wolves would roll in all sorts of smelly stuff like poo and rotting animals and fish in order to disguise their own smell while they were hunting their prey. 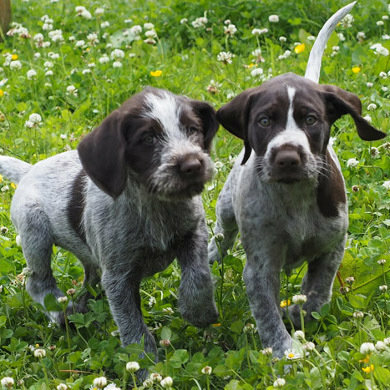 Dogs also roll in clean grass and vegetation for the same reasons, but that just looks cute and leaves no foul smell. Some dogs are worse than others when it comes to this habit. 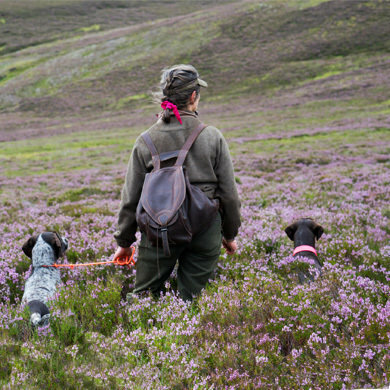 Even within a pack of dogs, living under the same roof with the same owner, there might be just one dog that regularly enjoys seeking out fox or badger poo. It happens in a flash while you are looking the other way. Although dogs mostly “just” roll in muck, they might also have a habit of eating some of it. 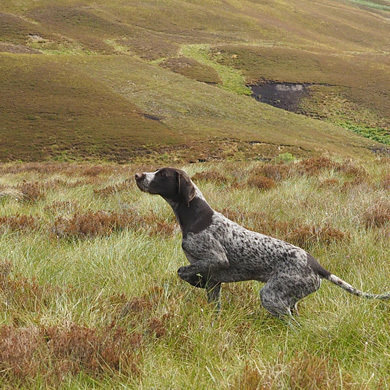 You should keep an eye on this as your dog can become infected with hook worm. If you discover diarrhoea with blood, this can be a reason. Take him to the vet. 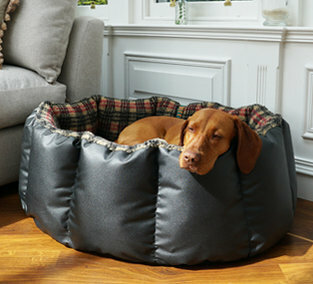 Dog beds really ought to be washable whether Fido rolls in muck or not, but it is paramount that cleaning is easy if your dog is inclined to come home with smelly dirt all over him. 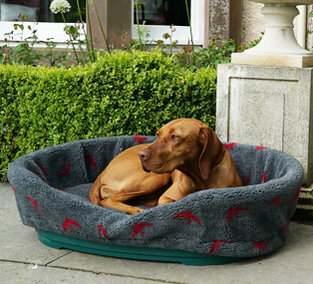 There are various systems that ensure that your dog has a very comfortable place to rest, which is easy to wash. The best kinds of beds are the ones that you can simply scrub with very hot, soapy water till all dirt is off and then hose down followed by air drying or towelling. It makes life a lot easier if you can dry the beds and use them straight away. 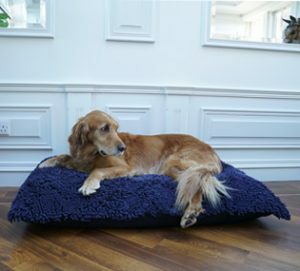 If you prefer to use a washing machine for cleaning the dirt off the dog bed, the ideal solution is to have a dog bed you can wipe down with disinfectant if you need to and in addition have a machine washable cover. 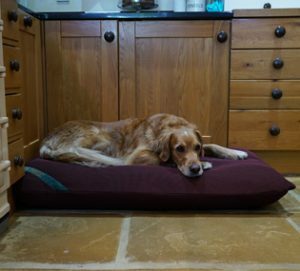 There are certain covers that can take really hot washes and they will be ideal if your dog often rolls in stuff that can cause infections. The Wipe Clean beds with Wicking covers, for example, will make life a lot easier when it comes to cleaning. 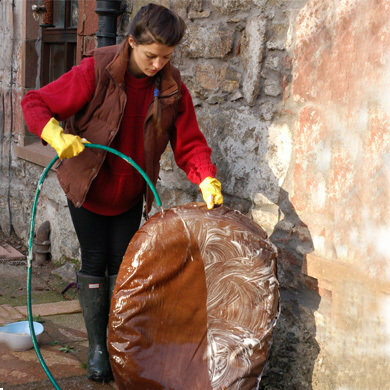 You can wash this cover at 70 degrees, which kills off bacteria and gets rid of the smell. 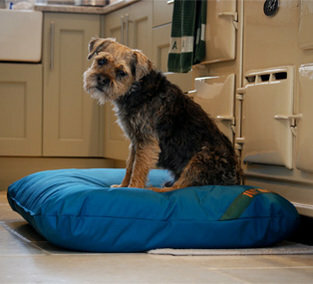 Waterproof dog bed with wicking cover. Most dogs’ coats are shiny and fairly short and it is amazing how well a pet or human shampoo will clean off even the worst of all smells. The design of most dog coats simply means that dirt is expelled. Most of us will discover what has happened before we get back in from the walk and the best option is simply to keep the dog outside and turn on the garden hose and wash Fido with shampoo and the cold water. Unless it is really cold, don’t worry about the dog and the cold water. Remember how happily he jumps in a lake after a ball, when we would find it too cold to go in, BUT make sure he is dry and warm before he goes out again if he has to live outside or in a cold house. Towel him down and allow him to get nice and dry. Some dogs have a very thick coat and they are almost waterproof. 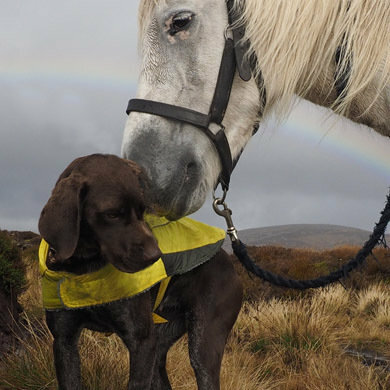 If your Labrador, for example, goes swimming, you will see that his coat does not let water in to the skin due to the grease in the under coat. The problem is if you wash him with shampoo, you wash the grease out and the coat will get wet. It will take a dog with a big coat a while to dry and you will not be able to dry the coat completely with a towel. When you have dried off as much as you can, you can let him rest on a Dog Dryer dog bed cover. This is a thick futon mattress with a “noodly” type of cover on it. 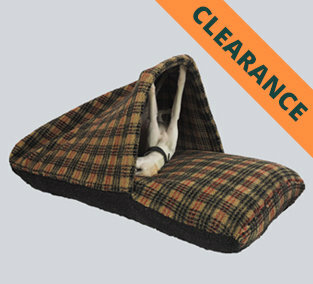 The cover is super absorbent and has a vast surface area. 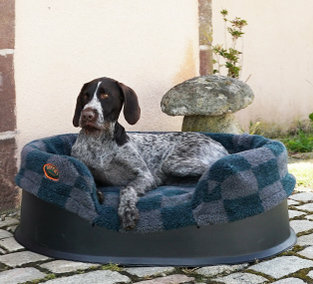 Your dog will have a nice rest on a bed like that, while drying up in record time. 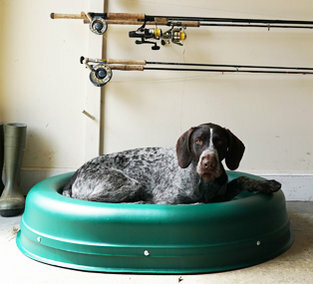 A Dog Dryer Cover is ideal for wet dogs. 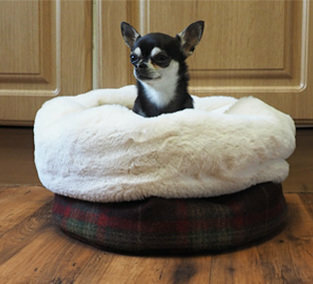 The best dog beds for outdoor dogs are either <a href="https://www.tuffies.co.uk/browse/c-Raised-Dog-Bed-and-Spare-Liners-2">raised dog beds</a> with a warm, removable and washable lining or simply waterproof with a thic..